You would think it’s still hard to find cool Nintendo stuff like the Huge NES coffee table controller anymore. Nope. 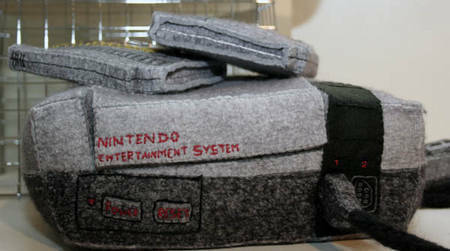 Blueblythe thought it was a cool idea to sew a plush Nintendo system. She then needed some games to go with it, Super Mario 3 and Duck hunt. 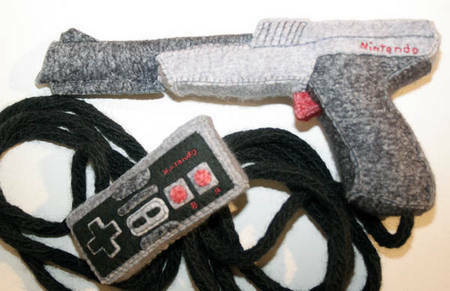 But with Duck Hunt, you need a optic gun, so she sew that too. 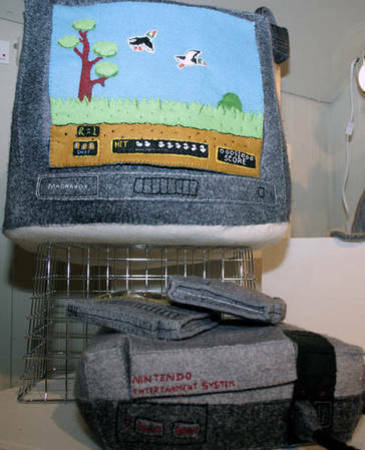 But wait… you cant play Nintendo without a TV. 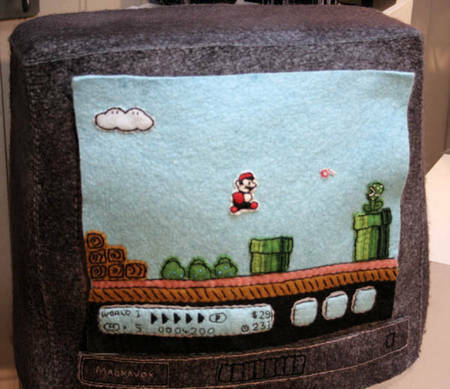 Not a problem,Â Blueblythe sew a plush TV with detachable Mario brothers 3 and Duck Hunt screens. How awesome is this? 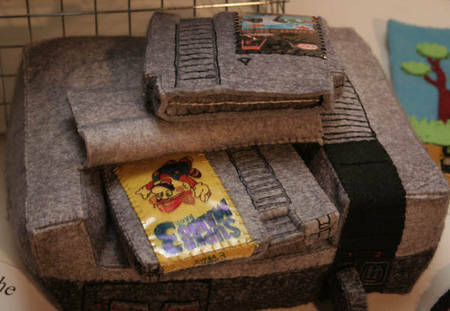 A Nintendo system that you can literally sleep with. Something we’ve always needed. Via Geekoloie.